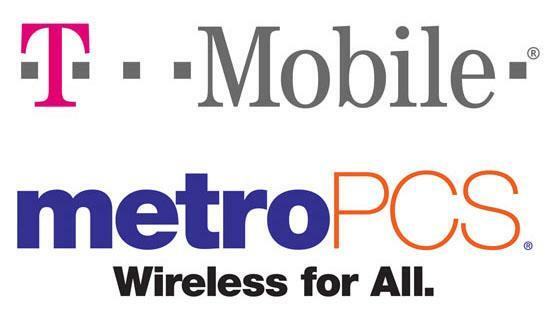 While March 14th may be a big day for Android and Samsung owners the world over, it’s March 28th that will have the attention of proponents and detractors of the MetroPCS/T-Mobile USA merger. The deal continues to receive regulatory scrutiny as it goes through the FCC and DOJ review process, but will also require the approval of MetroPCS shareholders. The deal has received some negative feedback from some MetroPCS’ shareholders, including hedge fund P. Schoenfeld and MetroPCS’ biggest shareholder Paulson & Co. Both funds have signaled they would vote against the merger given the unfavorable terms. The vote will take place in Richardson, Texas according to a Securities and Exchange Commissions filing made earlier today. Come on MetroPCS, T-Mobile needs more LTE! Sprint is so far behind. I would just say big two competitors. Sprint doesn’t have too much Wimax 4G LTE towers unlike AT&T and Verizon. My friend just signed a two year contract with Sprint and also bought his girlfriend a Sprint contract as well and they aren’t getting any LTE in our city. He has to drive outside of the city to get LTE. Plus Sprint’s data connection is slow. So there isn’t no point to go to Sprint if you don’t like slow speeds and only 3G HSPA+. Just stating the facts. LTE and Wimax are two different technologies run by two different companies. LTE is on sprint’s PCS G-block, while Wimax is owned and operated by Clearwire on their 2.6Ghz block and rebranded as Sprint 4G through their network wholesale deal. Sprint is a CDMA carrier. they do not have HSPA+, since that is on the GSM path. their 3G is EVDO revA. Sprint likely has a very similar number of towers up compared to ATT, however ATT is deploying on 700mhz, which travels quite a bit farther than PCS. I believe to cover the area of one 700mhz tower, you would need 3-4 PCS towers, but they have three different companies rolling out their new network. They will catch up to ATT very soon. As they continue to add towers, their speeds to improve. they are rebuilding their network similar to Tmobile’s Challenger strategy, but they are doing it on all towers instead of towers with 4G already. Thanks. But they been having LTE for quite sometime and still haven’t gotten a lot of their towers up. Only very few. Plus they have a lot of subscribers so there is a lot of trafficking on their data network and that’s a reason why their speeds are slow even though they offer LTE. Isn’t that’s why AT&T got rid of their unlimited data a couple years back? T-Mobile lost a lot of subscribers last year so there isn’t too much trafficking on their network for those who have unlimited data plans. They launched their LTE network 8 months ago back in june/july. ATT launched back in october in 2011. The main reason it seems slow is because they are 3 months behind on their goals. The CEO just lost thousands of shares because they are behind. Their speeds are slow because they are using only 5×5 channel instead of 10×10 like verizon, so their theoretical max is 35 instead of 72 like verizon, but once the clearwire deal goes through, they can always deploy 20mhz of 2.5Ghz which has peak speeds of around 100Mbps. Their network is LTE advanced ready. they just need a software update at each tower,which will likely happen when deploy the iDEN spectrum in the middle of this year. LTE Advanced does not automatically mean 100Mbps. You gotta have enough spectrum for it. Tmobile will only have it in areas that they have at least 50Mhz of AWS( 10mhz for HSPA+ and 40Mhz for LTE). ATT does not have very many areas where they can deploy more than 20Mhz at this time. They could reach 100Mbps once they start deploying WCS with carrier aggregation, but that is a couple years down the line. ATT’s network is going to be a mess. Clearwire gives Sprint enough spectrum to deploy True 4G aka speeds of 1Gbps, which no other carrier can currently do without turning off their 3g and 2g network. I would not worry about sprint. This deal will take place as planned. Metro is a profitable company, so you will be waiting quite a while for them to experience bankruptcy. They’re profitable because they attract illegal aliens. That’s why they have so much customers here in California. Its irrelevant why they are profitable. T-Mobile is a sinking ship why would their share holders want to sell out? They don’t want to. They’re greedy or they either are holding on to see if there still is anything good in the upcoming months. It’s the rich ones who tend to be more greedy. The major stockholder is complaining about selling his stock that could become nothing eventually if he holds on to it. He’s just trying to hold out to put on a few more bucks for his stakes. That’s it. T-Mo will eat up MetroPCS and will be using their spectrum sooner than later. Can’t wait for this merge. No more Metro PCS by 2015. After T-Mobile goes public, does anyone think that DT will sell off the rest of it’s shares of the new T-mo to another company so DT can leave the U.S market? Or do you think eventually DT will buy back the shares of the company they sold to the Metro PCS shareholders? Just wondering..
the main point of going public is so DT has the option of exiting the US Market with a possible net gain without a messy acquisition. yeah but if DT leaves the U.S market, can T-Mobile USA keep the “T-Mobile” name since DT owns that name? most probably the remaining entity will have to be renamed with access to the “T-mobile” name for recognition purposes during the transition period, typically a few months. It will depend on if Tmobile grows or not obviously. With Metro its still a matter of DT letting go of 43 million subscribers if you look at things globally. If Tmobiles upcoming strategy is a disaster they will likely sell their shares but I think DT’s heart is in growing the US unit to a point where they wouldn’t have to give up much equity to merge with another partner… Let’s say a severely weakened Sprint. kinda random but can anyone tell me how I can see if i’m in a 1900 Mhz area on my HTC One S? Not sure about the One S but if it’s anything like the HTC Amaze (which it should be), dial *#*#4636#*#*, then phone information, then menu button, select radio band, USA band. If there’s 1900 3G, it will connect and say 4G. This is a good deal for both companies. Hope things go though. When is T-Mobile going to change all EDGE to DC-HSPA+? !